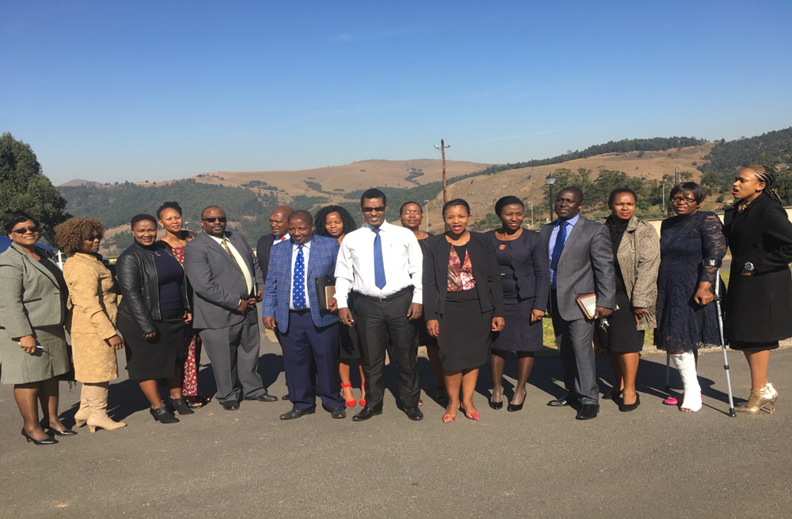 Upon receiving an invitation from the Right Honourable Prime Minister of Swaziland, Dr Sibusiso Barnabas Dlamini, SIAPS provided technical assistance to the task team appointed to examine the problem of inconsistent availability of essential medicines. Recent media reports and routine assessments conducted by the SIAPS Program indicated frequent stock-outs of essential medicines and medicinal supplies, especially for non-communicable diseases (NCDs). Not only did this situation affect the delivery of priority health programs but patients were also forced, from time to time, to buy medicines for the control of NCDs from the private sector at a higher out-of-pocket cost. To address this challenge, the Honourable Prime Minister commissioned a 15-member Inter-Ministerial Task Team to identify the root causes of this shortage of essential medicines and medical supplies. Two supply chain experts from SIAPS, Gashaw Shiferaw and Emmanuel Nfor, provided guidance and input to the task team by developing the methodology and approaches including data collection tools. Support was also provided in analyzing the findings and designing the short- to long-term interventions. The report was submitted to the prime minister and will be made available to the public after government deliberations. SIAPS appreciated the leadership of the prime minister and the acknowledgement that the problems of supply chain management are not entirely the responsibility of the Ministry of Health but of other government ministries such as finance, economic planning, and public service which are key stakeholders in the delivery of health services. The Government of Swaziland has requested SIAPS to provide further support in the implementation of the recommendations made by the task team. The Chairperson of the Task Team, Sikelela Dlamini, appreciated the support given by USAID and SIAPS and expressed his gratitude for the consultants provided by PEPFAR who contributed extensively to the exercise.